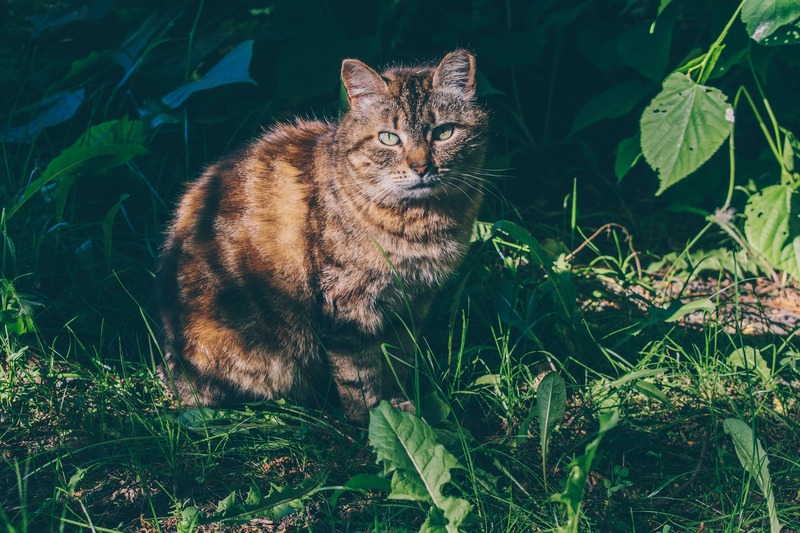 The UK’s Department for Environment, Food & Rural Affairs announced new legislation banning the use of electronic training collars for dogs and cats. These devices, commonly called shock collars or e-collars, send an electronic pulse to your pet, with the idea of correcting unwanted behaviors. 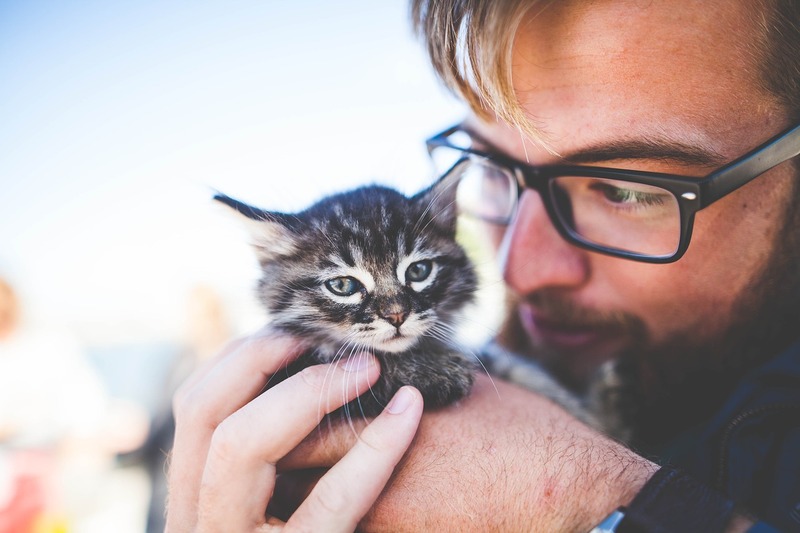 Animal welfare experts note that the devices cause unnecessary harm and suffering and may even worsen a pet’s aggression or anxiety problems. The Department reports that the ban on e-collars will not extend to invisible fencing systems, because they believe these are useful in keeping dogs and cats away from roads and traffic. The Department notes that members of the public are evenly divided over the use of invisible fencing, with 50% still in favor of the fences. They also report that many citizens have expressed concern over people’s lack of knowledge and training when it comes to the proper use of electronic devices. In the ongoing effort to understand what our pets are thinking, researchers have been performing MRI scans on dogs’ brains for the past several years. A recent canine brain scan study conducted by scientists at Emory University may help determine which dogs will make the best service dogs. 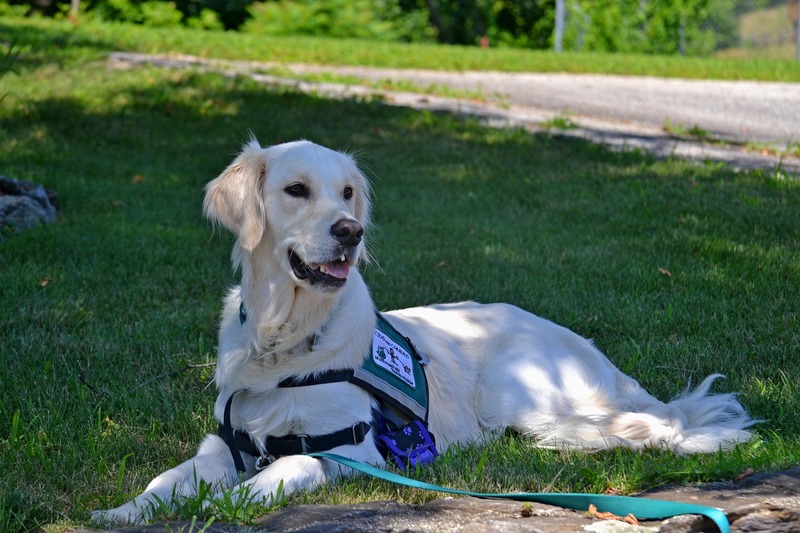 43 service dogs in training with the organization Canine Companions for Independence (CCI) underwent MRI scans to determine what makes a successful service dog. 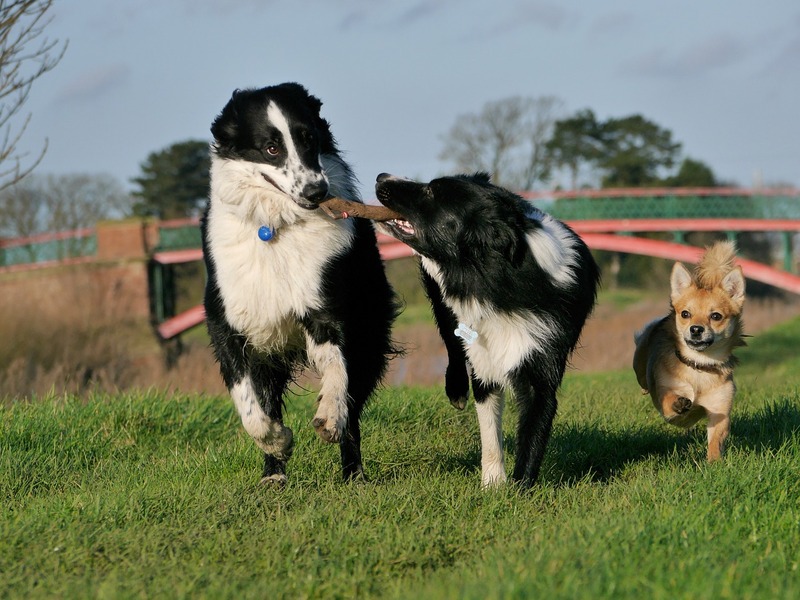 While all the dogs in the study had outwardly calm temperaments, the scans revealed that some of the dogs had higher levels of activity in the area of the brain associated with excitability. These dogs were more likely to fail the training program. Scanning potential service dogs early in the training process could be very beneficial for organizations like CCI, since it can cost as much as $50,000 to fully train one dog. 70% of dogs that start a training program will drop out due to behavioral issues. Since there are always waiting lists for good service dogs, it would be efficient to weed out problematic candidates at the beginning. Without the MRI scan, the early identification of dogs that would ultimately fail training had a 47% success rate. With the scan, the predictability of failure went up to a 67% success rate. How did researchers test the dogs? 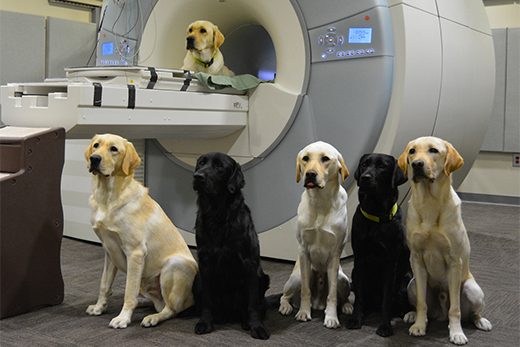 While in the MRI machine, dogs were given hand signals for “treat” or “no treat.” The successful service dog candidates did show activity in a part of the brain associated with rewards when given the sign for “treat” but they did not show excessive activity in the excitability area of the brain. 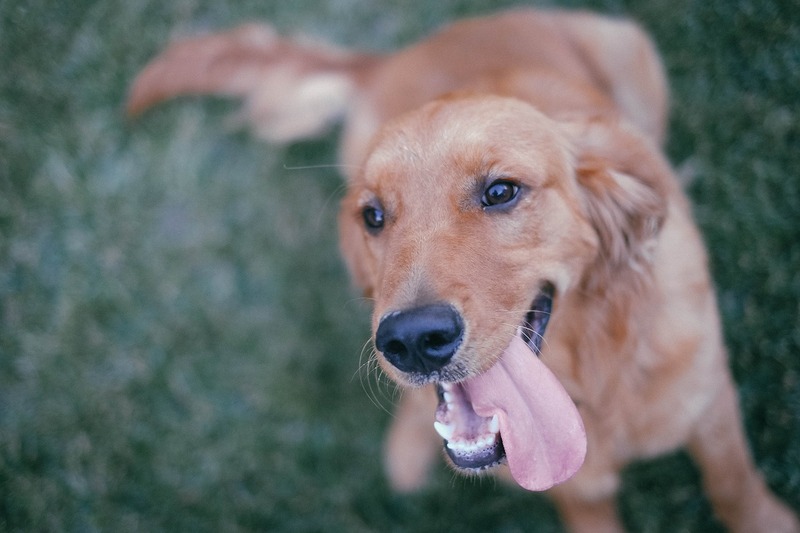 In contrast, the less successful candidates showed more excitability with the “treat” signal, including when signaled by strangers, a trait which trainers consider to be a red flag for service dogs. Interested in learning more? You can read the full text of the article on the website for Scientific Reports HERE. Top image of some very good study participants: Dr. Gregory Berns, Emory University. 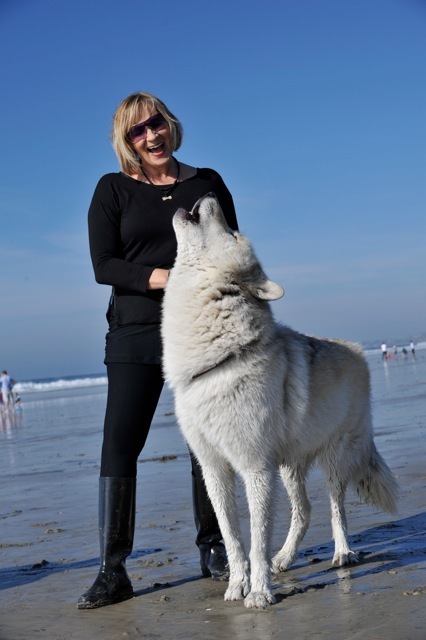 A few months ago, we introduced you to FACE friend and supporter Linda Michaels of Del Mar Dog Training in a blog post. 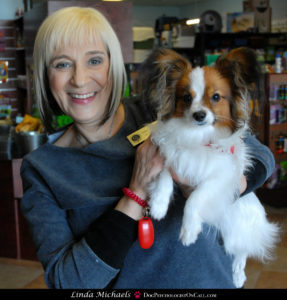 Linda is a top-rated dog trainer and behavior expert who created the Hierarchy of Dog Needs® approach to force-free behavior modification. 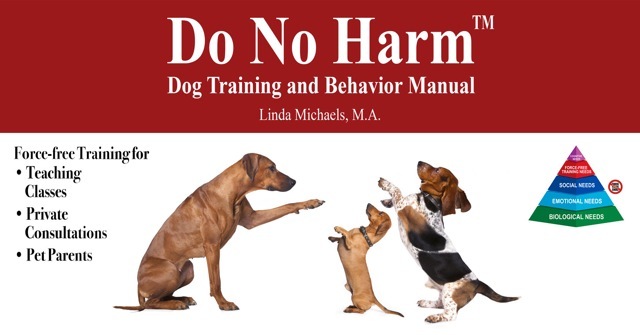 Linda has expanded the ideas she outlined in the Hierarchy into a brand-new eBook called the Do No Harm™ Dog Training and Behavior Manual. 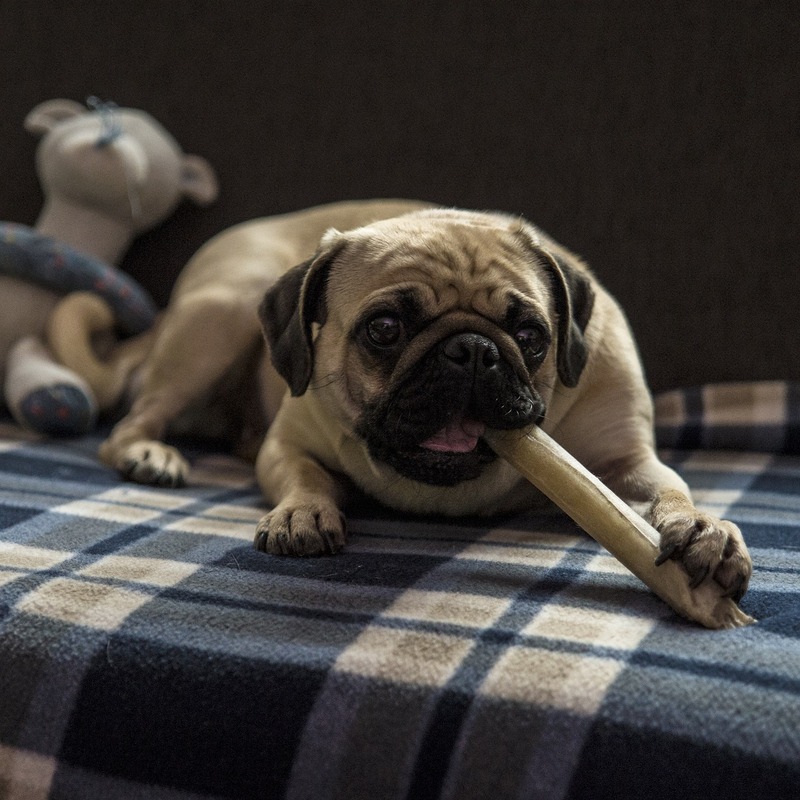 The manual is a great resource for anyone interested in learning about force-free solutions for common dog behavior problems (pet parents, trainers, animal welfare workers and volunteers, groomers, and more). The book is available for purchase in pdf format HERE. Linda has an MA in Experimental Psychology and has worked not only with dogs, but also wolves and wolfdog hybrids in need of treatment for aggression. The foundation of her approach is to avoid the use of harsh, dominance-based training methods and aversive collar devices (shock, prong, choke). 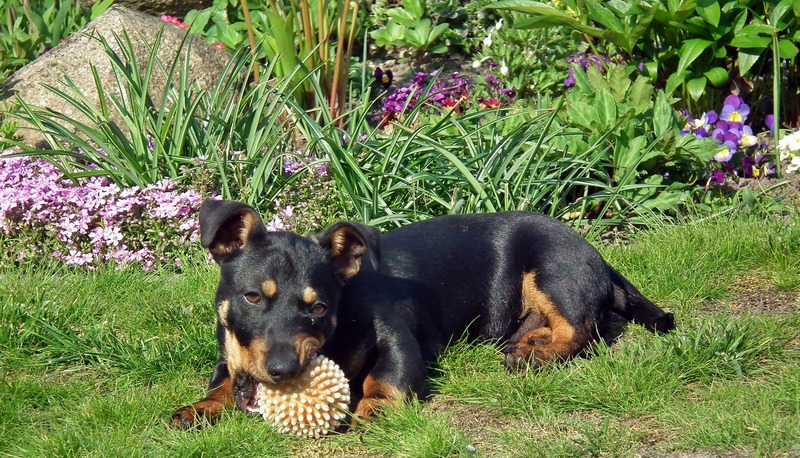 Linda believes that these methods are often counter-productive and can in fact increase aggression in dogs. 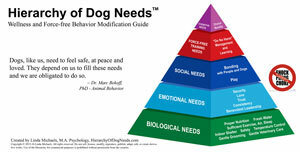 The Hierarchy of Dog Needs® concept is based on the idea that dogs (just like people) have fundamental needs that should be met both in the training process and throughout their lives. 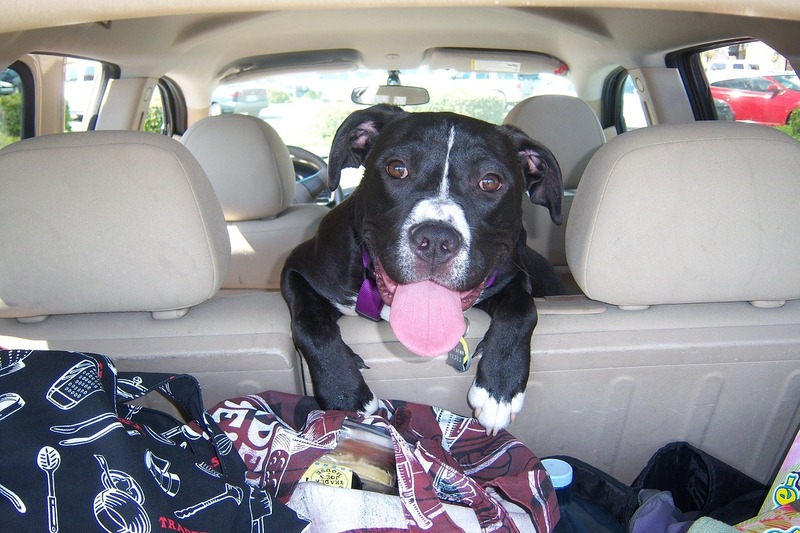 Besides basic physical needs like food and shelter, dogs also need to feel safe, secure, and loved. Linda’s training methods take these important emotional needs into account, leading to optimal results. As Linda notes, traditional dominance training methods and devices can inflict irreversible psychological damage on our dogs. “This manual was written for ‘the heartbeats at our feet’ with their well-being and best force-free care and training practices in mind,” says Linda. “We no longer leave the door open for any justification to use aversive/punitive methods of training with dogs.” The key to effective training is the proper use of force-free methods…now easier than ever thanks to Linda’s contributions to the field! Many of us first learned about Abraham Maslow’s Hierarchy of Needs model of human motivation back in Psychology 101 class. Maslow proposed that human behavior is motivated by an ascending hierarchy of needs, from basic ones like food and shelter to more complex emotional and social needs like feeling a sense of accomplishment and having a network of friends. Linda with a little friend. 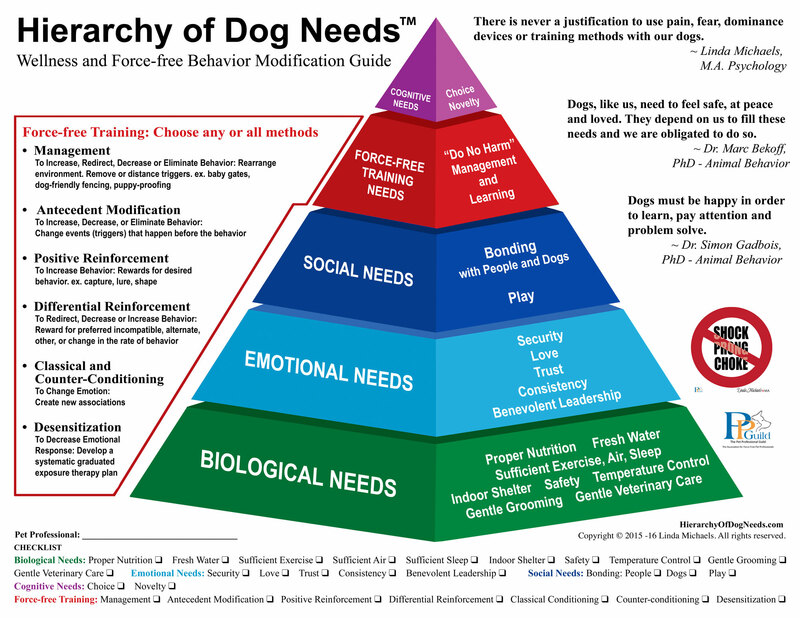 What if the Hierarchy of Needs model could be adapted to canine psychology and used for dog training as well as other human-dog interactions like grooming, veterinary practice, animal sheltering, and working/service dogs? Well, good news dog lovers! FACE Foundation friend and supporter Linda Michaels, M.A. 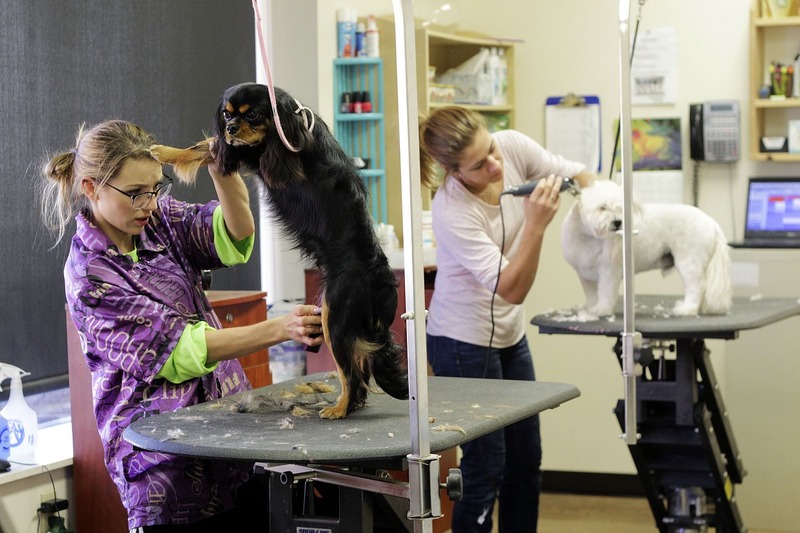 of Del Mar Dog Training here in San Diego County has done just that! Linda with a big friend. Added to this hierarchy of needs is a dog’s force-free training needs, what Linda calls “do no harm” management and learning. 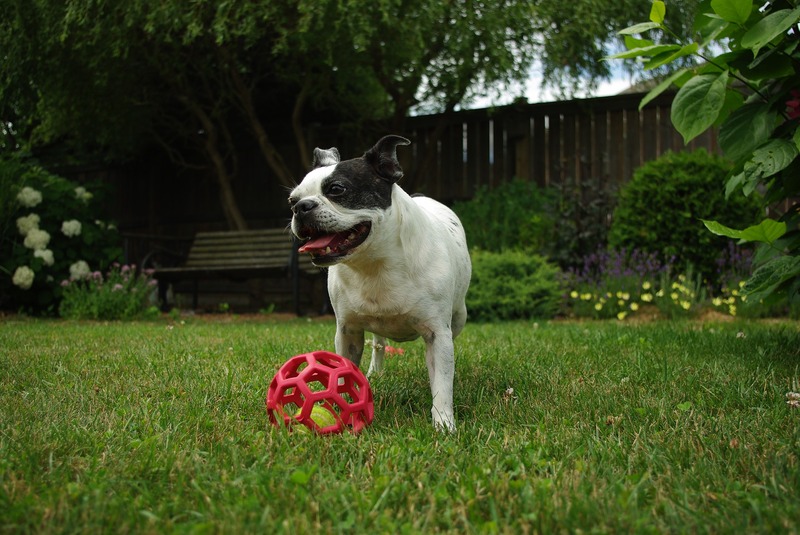 Once our dogs’ foundational needs (biological, social, emotional) are met, we can then use the HDN to address force-free behavior modification. 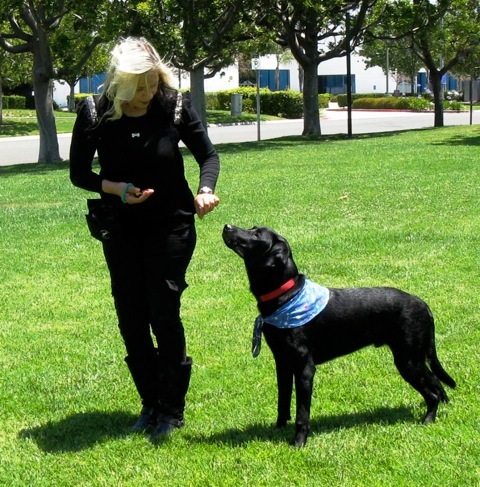 Interested in learning more about this unique and compassionate approach to dog training? 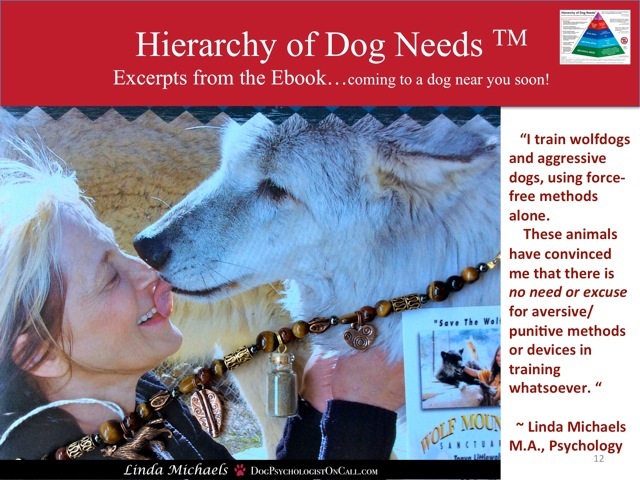 There’s lots of great information about utilizing the Hierarchy of Dog Needs method on Linda’s website. Linda is currently working on The Hierarchy of Dog Needs Handbook, a step-by-step guide to the principles outlined in the infographic. Be sure to pick up a copy early next year!